Its everything like Cartin. Simple just got simpler! Get started now! or Talk to our Experts! Get the Future of eStore! Cartin Lite program aims at bringing sellers based on social media platforms into mainstream e-commerce market. Selling with Social media pages? You are just a step away from being 100%. Become the successful entrepreneur by giving your business the online presence it needs! *Google terms are applicable for using Promo Google Coupon provided by Cartin. *InstaCartin Terms: Instagram users has to share or Give Credits to Cartin on their Profile. *Minimum commitment Period: 12 months. *For BLUEMBER DROPSHIPPING, an active account in Bluember.in is required *All Prices are exclusive of tax. 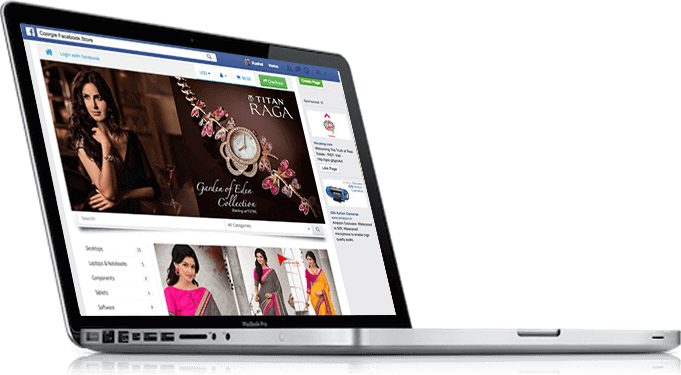 Online selling on Facebook made Simpler. Convert your hard Earned Facebook Likes into sales, by setting up a Facebook Store. Ease your loyalist customers to follow your products and buy them all in once place which is your own “Facebook Store”. Easy right then what are you waiting for Sign up and get your Store in less than an Hour. We offer the best support and service you can imagine. Use our support forum if you got any question and our team will respond, that's for sure! We got thousands of solved threads and a customer satisfaction of 97%. We do care that your site runs great!